Shcherbakivsky, Vadym [Щербаківський, Вадим; Ščerbakivs’kyj], b 17 March 1876 in Shpychyntsi, Kyiv gubernia, d 18 January 1957 in London. Ethnographer and archeologist; member of the Shevchenko Scientific Society (from 1930), the Ukrainian Academy of Arts and Sciences, the Slovak Scientific Society, the Czechoslovak Academy of Sciences, and the International Anthropological Institute (France); brother of Danylo Shcherbakivsky. He studied at Saint Petersburg University, Moscow University, and Kyiv University (1902) and participated in Ukrainian social-democratic political activities, for which he was arrested several times. In 1907 he moved to Galicia, where he worked in the National Museum in Lviv (1908–10). He later participated in excavations in Bilhorod, near Kyiv (1910–12), and worked as curator of the archeological section of the Poltava Zemstvo Museum (1912–22; now Poltava Regional Studies Museum). During the Ukrainian struggle for independence (1917–20) Shcherbakivsky was a professor at the Ukrainian University in Poltava (1918). 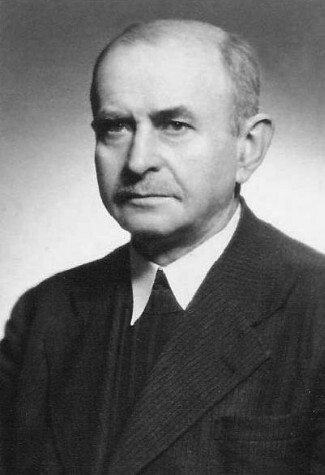 As an émigré he was a professor at the Ukrainian Free University (1922–45 in Prague and 1945–51 in Munich). In 1951 he moved to England, where he did research on ancient Ukrainian history, in London. Shcherbakivsky wrote important works about wooden church architecture in Ukraine (Zapysky Naukovoho tovarystva im. Shevchenka [ZNTSh], vol 74 ), the architecture of various peoples in Ukraine (1910), churches in the Boiko region (ZNTSh, vol 114 ), Ukrainian art (1913; 2nd edn 1925), the principal elements of Ukrainian Easter egg ornamentation (1925), the prehistoric formation of the Ukrainian nation (1937; 3rd edn 1958), and the Stone Age in Ukraine (1947). A biography of him, by Petro Kurinny, was published in Geneva in 1947.